As our parents get older they lose much of their sight, reflexes, dexterity and mobility. And as a result, we have to be careful that their homes do not become overly dangerous or difficult for them to get around. As caring children, we need to regularly give their homes an inspection and look for anything that might cause undo strain or present a hazard. Here are some key areas of their homes to focus on for the good health and safety of our elderly loved ones. Many elderly people have multi-level homes. Normally the first floor will contain the kitchen, living, dining and family rooms as well as having the entrance to the home. The second floor will normally have most of the bedrooms and potentially a sitting room or even an office. There is a good chance that your parent will need to spend time on both floors of the home throughout the day, and if there are issues with your parent’s mobility, climbing up stairs constantly can create a big challenge. Often the parent can be moved from the second floor to a first floor bedroom, but just as often this is just not possible or desirable. Also moving a parent from his or her own bedroom can be demeaning. Thankfully there is another option that can solve this issue. Consider purchasing a stair lift to assist your parent traveling between floors in the home. A stair lift attaches to the existing stairs and allows the person to be seated and strapped into a seat, while they are lifted by an electric lift from one floor to another. The lift works in two directions and glides along a track running parallel to and just an inch or two above the stairs slowly and smoothly. Some even have a mechanism to assist the elderly person rise form the seat once they reach their desired floor. If you choose to get a stair lift fitted, it will certainly provide great benefits to you and your elderly parent. 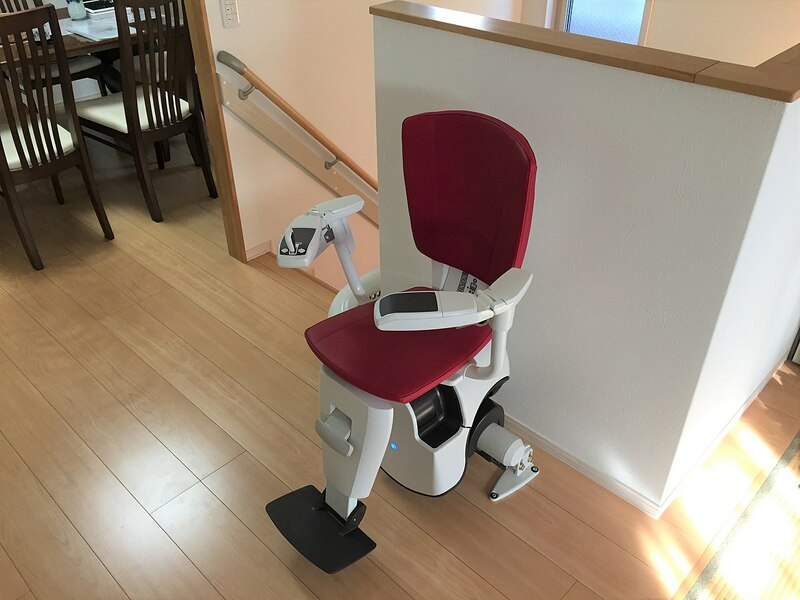 This device is not only safe, it allows the elderly person to stay in their own room, visit the second floor as often as they like, and maintain a level of independence which is great for their confidence. Bedrooms offer many potential dangers for seniors. First we should make sure that any rugs in the bedroom are taped down using double-sided sticky tape. The tape should be applied at the corners so no one’s feet can pick it up. Next, any furniture that is in a walking path should be either moved out of the way or removed from the room along with anything that has sharp edges that your parent may brush against due to limited mobility or decreased balance. If you have any questions about a piece of furniture, err on the side of caution and remove it from the room. Also make sure that anything your parent might reach for is in a position where there is not too much stretching up or down required. This might include low night stands and high shelves in a chest of drawers. Depending on how much strength your parent has or if your parent has a weak heart and is told to not do too much strenuous lifting,, there may be the need to attach bars to the side of the bed that assist in lifting oneself out of the bed. Additionally you might consider an electric adjustable bed that uses motors to place you in a sitting position making it easy to sit up in bed and even get out of the bed. Thee beds come in all sizes and are operated with a remote. These common sense modifications can make all the difference in the health of your elderly loved one. Take the time and make sure you do an inspection, then make modifications based on creating a safe space for them.